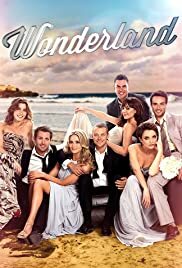 Wonderland is a warm and engaging relationship drama revolving around four couples at very different stages of life – the star-crossed singles, blissful newlyweds, hot new lovers and long-term marrieds. We join them as they navigate the light-hearted and sometimes painful minefield of love and friendship. Set in Wonderland, an apartment building on the doorstep of one of Australia’s most beautiful beaches, the residents are an eclectic bunch, but they all have something essential in common: each of them reminds us of someone we know, or even ourselves.